Those super-active three to four-year-olds have burgeoning physical skills and boy do we have the best gender-neutral gifts for them! 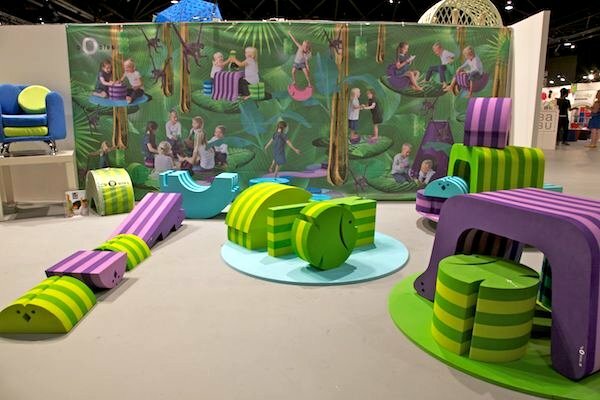 We’re still enchanted with the opportunities for play that the bObles Tumbling Animals system offers. 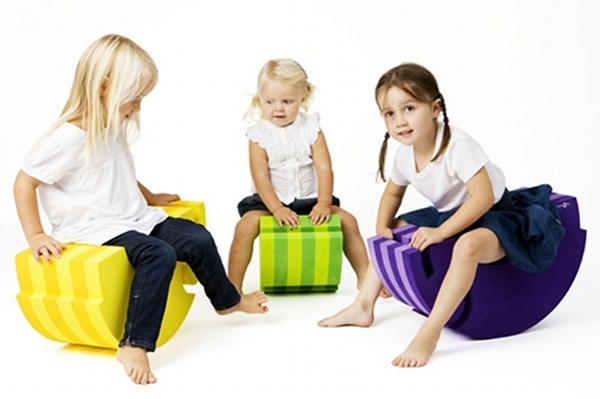 It’s open-ended, modular and in unisex colours which leaves the field open for creative, imaginative play. It has only recently arrived in Australia and makes for a ‘wow factor’ gift. Buy from Kids Lifestyle with prices starting from $49 a piece. These cute-as-a-button Confetti musical instruments from Janod provide just the right balance of quality educational toy with fabulous non-gender specific appeal. 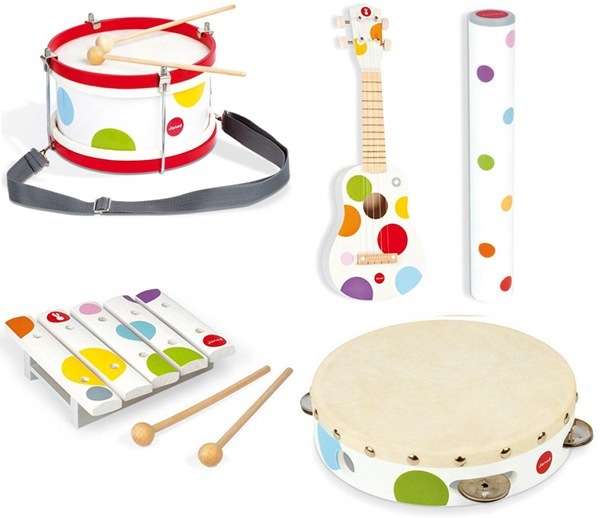 Instruments in the range include the drum ($38,95), guitar ($59.95), tambourine ($19.95), rain stick ($14.95) and mini xylophone ($14.95) all from The Hip Infant. Kids love their private spaces, that’s why cubbies are such a huge hit with them. 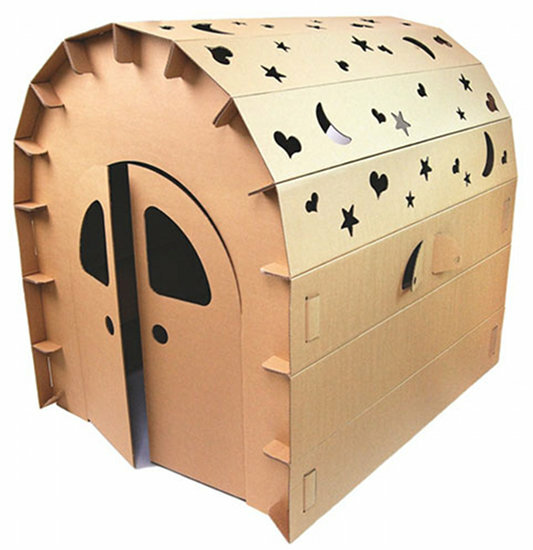 We love and adore this Funny Paper Cubby House ($109.95) but there are many others on the market such as those from Paperpod and Puggy. 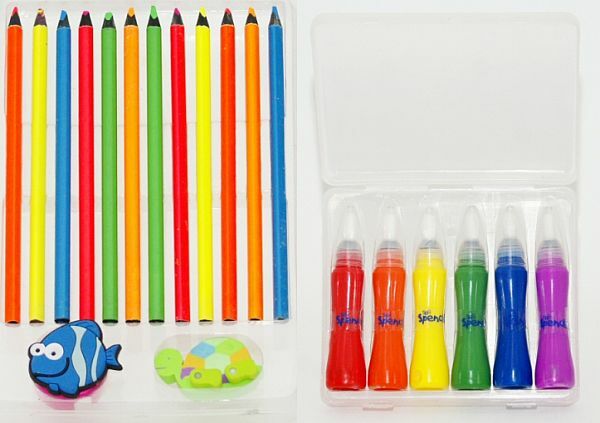 Almost every Babyology writer mentioned giving art gear as presents to this age group. The older kids usually have everything and the younger kids require the thicker baby-sized crayons and textas. Introduce regular-sized pencils at this age and they’ll be in heaven. It’s a step up from babyhood so they’ll be instantly invested in trying out their big-kid art gear! These ones are from Spencil. Grab a Kids Kitchen Craft Turntable ($29.95) to make the gift extra special. Yes it’s available in pink and blue, but the concept is totally gender-neutral and of course you’d select either green, yellow, red or orange to make it a completely non-gender specific toy. We’ve been banging on about the Bilibo for years simply because it’s tried and true; it’s active and open-ended. Give it a go!